Funchal, Madeira - Residence of the Ex-Empress of Brazil. A woodcut engraving published in "The Illustrated London News". Circa 1880. 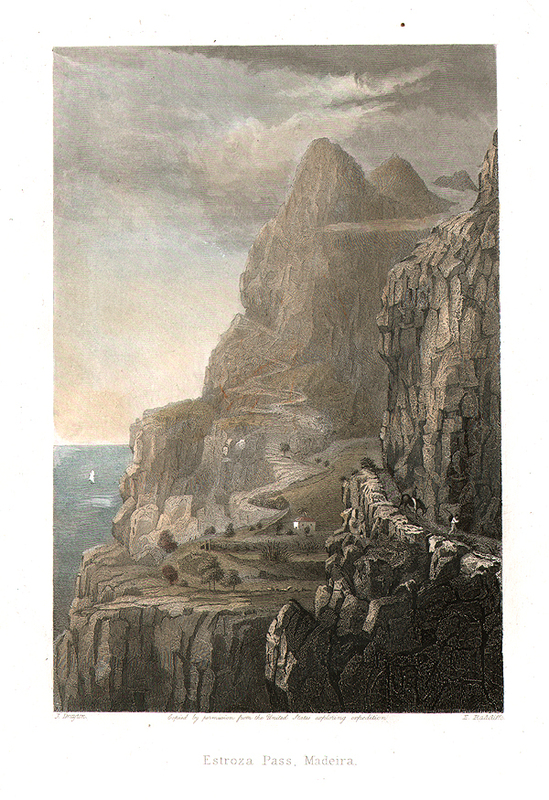 Funchal, Madeira, from the East Cliff - From an original sketch. 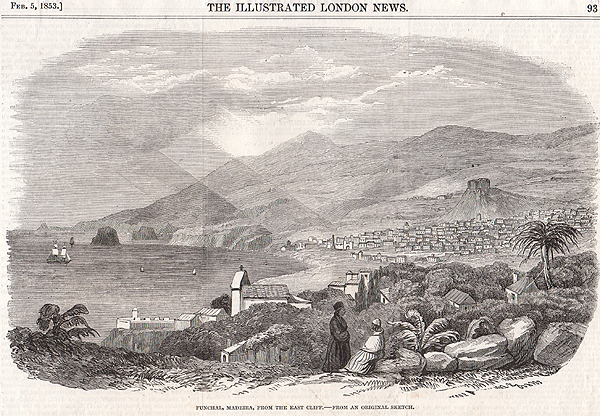 An antique woodcut engraving which was published in "The Illustrated London News" on February 5th, 1853. Notes in the Island of Madeira. Five antique woodcut engravings published in "The Graphic" on November 20th, 1886. Views include the Bay and Town of Funchal. An antique line engraving by E. Radcliffe after J. Drayton. Circa 1850. Later coloured by hand.